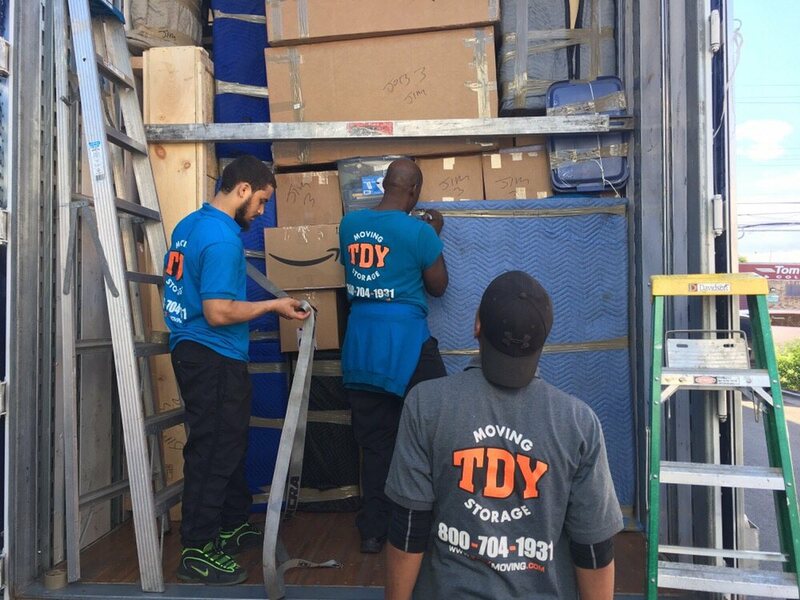 Specializing in long distance, local, commercial, and fine art moves!Why Choose TDY Moving & Storage Company? We offer the finest service in the moving industry and our movers will attend to your particular packing and moving needs at any date and time. Each of our employees will prove to be experienced, courteous and responsive to your particular move needs. 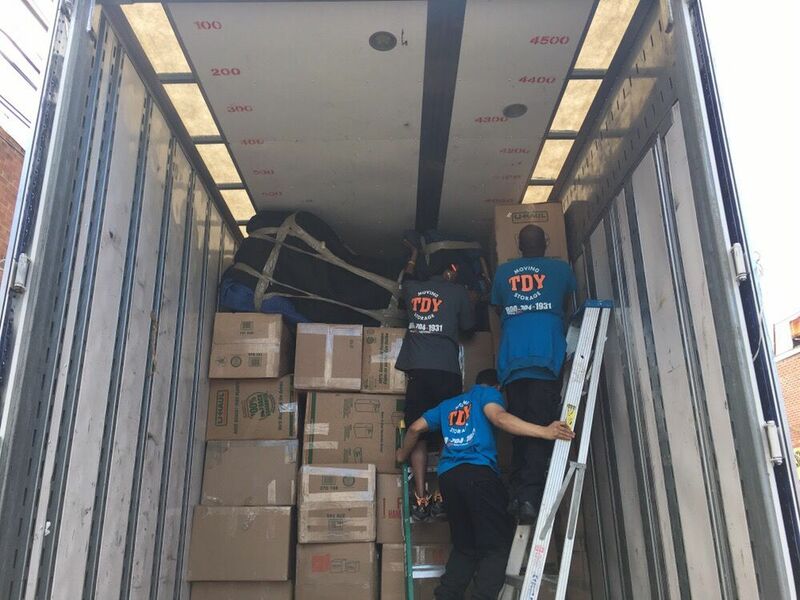 Make moving long distance easy with relocation expertise from TDY Moving & Storage! Our Moving Specialists collect your detailed relocation needs and consult with our network of the world's most reputable van lines to get you the best services at the best price. Established in 1991. We are Mike and Edward, owners of TDY Moving & Storage. We have been in the moving business since the late 80's. Mike started out with some friends and a van slowly working his way up to running a full professional moving and storage company.Edward joined by working on the truck, driving, sales, then becoming a partner. So, both Mike and Edward know each and every detail of the moving and storage business. Most of TDY's Moving & Storage team has been with us from the start. We're a family owned moving company with «NYC values». We pride ourselves in being like one big family and that is what makes us different from other NYC moving companies.TDY Moving & Storage is helping hundreds of clients per month move because when you hire us you're hiring a local mover that will treat you like family. 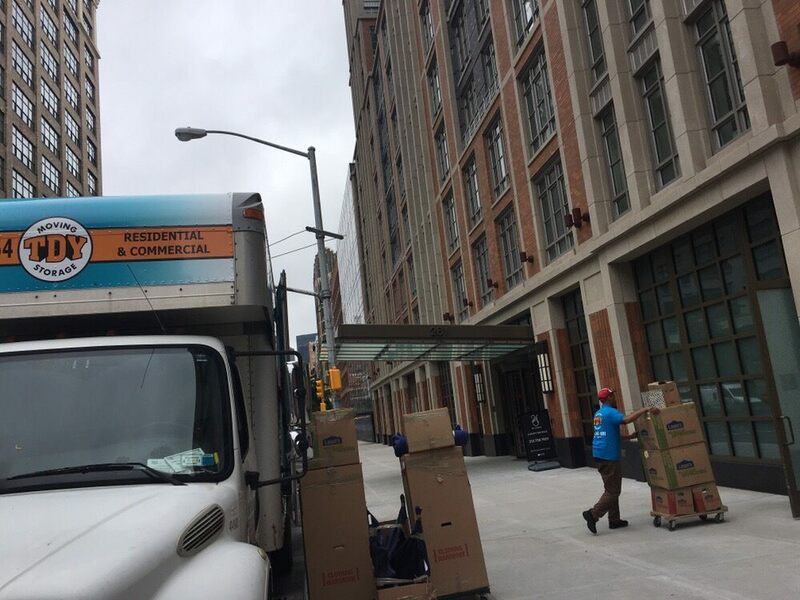 To us you are not just another number and our priority is ensure you are satisfied with your NYC move. We may not be cheap NYC movers but we are the best movers in NYC! 5 stars for the TDY team! My wife and I moved from NY to Miami. 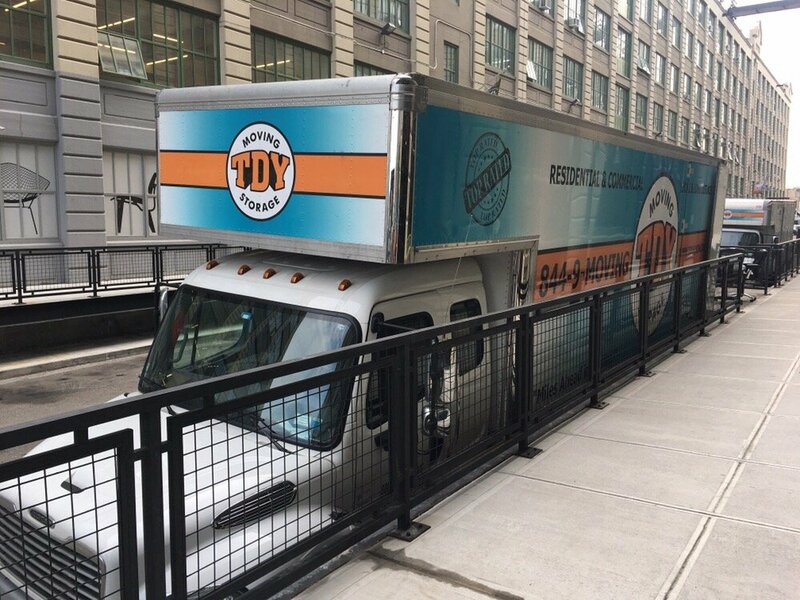 We shopped around for a few movers and considering the hassle of NY movers, we wanted to make sure we found the most reliable and fair vendor.To our luck, we stumbled upon TDY Movers. Very professional, efficient & reliable. Worked with Adam throughout most of the process. He was extremely helpful, thorough and communicative from beginning to end. The price that was quoted was both competitive with no hidden fees and all expectations were met. All our items were picked up and delivered with care handling, nothing damaged and in a timely fashion. I've already shared their contact information with a few friends who are in the process of moving themselves. Don't search for too long, TDY is the go to! I'll write an updated review once we actually move, but this review is for their quote responsiveness and customer service.The biggest difference between TDY and other companies, is that Angi, the sales rep called me immediately after I submitted a quote request through Yelp. I was able to ask all my questions and she was very patient and responded to every concern I had and was very fair and realistic with how long the move was going to take and how all the costs broke down.She then followed up with an email with the quote, and also responded promptly to my replies, especially when it came to variable vs. fixed costs regarding the quote. As far as I can tell, there aren't any "gotchas". They fixed costs are what they are (commute time, tolls, etc), and so the only variable is based on how much stuff I have (which will just add to the total number of hours). She also is taking care of all the insurance papers that need to go to the building management - so one less thing I have to do...Price-wise - TDY was inline with the other movers that I spoke with, and since she had responded first - we went with TDY. Hope the move goes as smoothly as the booking! I really wanted to have a good review. But Jacob - their driver, ruined it. I wanted to give more stars, Partially because the guys who packed my apt up were amazing and I felt I could trust them. But the entire process was a mess.1. I had two stops before moving from NYC to Texas. Some of my furniture was at my parents in philly. I made it clear to Angie that I had those two stops. She didn't document is correctly but my paperwork stated it.The movers had no idea when they arrive nor did the guy who called to confirm the day before.2. I had an agreement with Angie that this would need to be delivered the following weekend due to schedules- she agreed. I found out that day that they couldn't commit and I was possibly stranded.Thankfully the owner called and I was able to secure the delivery - which was keeping me from losing the $700i paid for my flight to be in Texas. They had to load my stuff the next day- mind you this was a holiday weekend. I paid more for my space due to furniture and it nearly doubled my bid price. Typical but I was understanding3. I then was told I had to pay a guarantee fee to be delivered that weekend. So an additional $1,300 later I was set.4. The guy for delivery NEVER called. I had to track him down and even the dispatch never could get him. He lied about his location, didn't leave NYC on time and then had the audacity to complain to me that I was unreasonable for asking for my things on the dates we paid for. He was rude and lazy (I'll get to that later)5. Finally I got in touch with Adam- who refunded me the amount for the secure delivery . We had to agree on a new date- where I would not be there. Sadly I paid to visit my vacant home and couldn't stay there.6. Still on the delivery date our driver (Jacob) was claiming to have called my boyfriend - he hadn't. I of course called again to track him down. He show d up and was beyond rude to my boyfriend. He didn't help, he brought ONE man to unload (poor guy was doing everything alone), pestered my boyfriend for a Tip by questioning if I really left him anything. He even went as far to as pricing of some things in our house and how much I got from my aunts death! See, my boyfriend explained that one of the pieces of furniture was very dear to me because my aunt left it to me after she passed. This guy was a total embarrassment for this company and someone I hope to never come across again7. Things were broken that I packed- which was fine, but our bedframe was cracked. I didn't even bother to call and complain because I was tired of dealing with this group.I'm sad that my experience was bad, but want to warn others of the rude driver they have on the other end of the longer trips. Jacob should not represent this company as he has ruined or impression and caused so much stress and anguish. I wish them the best, but really hope that they think twice about using him ever again. Had a very good experience with the fine movers at TDY moving.Sadik, Jason and Victor showed up EARLY for the move and got my stuff out of our place in no time. They were helpful in getting our boxes into our new place and were very careful with our stuff.The move was done pretty quickly and with no fuss, which is pretty much what you want as part of a move anyway.Would recommend them again as they were a very good team. Thanks again! I had recently moved to another apartment and I struggle to find a good company to help me moved. . I looked online and found them. As soon as I call they were super helpful gave me a quote. ..Everything was moved with no problems.